This book is enjoyable if the reader is a fan of Tudor England although it might seem a little tedious to the reader who is just interested in Henry’s court and all the many women who he had to pick from in order to get a prince. Henry’s Queen, the long suffering Catherine of Aragon doesn’t seem to be able to give Henry what he wants (a son) so Henry goes on the hunt for someone else. He falls in love with Anne Boleyn, one of the Queen’s ladies in waiting, and decides to change the rules in the Catholic Church regarding divorce. He strenuously lobbies the Pope with the help of Gregorio Casali, Henry’s Ambassador in Rome. Casali becomes the King’s Lobbyist and is in charge of seeing that the “King’s Great Matte,” which is the attempt by the English Court to agree to let Henry divorce his Queen and replace her with Anne, will be acted upon quickly. This is really a biography of Casali, who uses everything he can, including kidnapping, bribery and downright stealing, to make the King a free and single individual who can divorce one wife and get another on the same day. It’s a fascinating topic about how one English King created his own church called the Church of England that changed the world of religion forever. The book is less about religion and more about all the Big Dogs coming together (Church, Politics and let us not forget enormous egos) to see who could overrun the country's beliefs. The Roman Catholic Church is still very powerful in the world at large but it took one determined man who wanted to have a son to bring it to its knees. 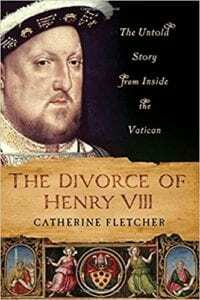 The author does a good job by taking the story of Henry VIII into the Vatican and watching the main players dazzle each other and the world by their sneakiness or, if you will, detective work. Quill Says: This story of Henry VIII has been done and done many times. Although Henry was not a great King, this book shows this was one ruler who was determined to get what he wanted, and certainly did.